Mumbai-based tour and travel firm Cox & Kings Ltd said on Tuesday it has acquired UK-based hotel booking website LateRooms.com for £8.5 million (around Rs 85 crore, or $13 million). LateRooms, owned by German travel major TUI Group, offers a full range of accommodation options with over 54,800 properties globally that can be booked up to a year in advance. It also owns other internet properties such as AsiaRooms.com. "We are confident that bringing the LateRooms brand and technology into the fold will provide a significant boost to Cox & Kings' growth trajectory and technology capabilities," said Peter Kerkar, director, Cox & Kings. Founded in 1999, LateRooms was started as a price comparison site and moved to an online transaction property for hotels in 2002. In 2006, it was acquired by British travel firm First Choice for £120 million. This was just ahead of First Choice's merger with TUI Group. The hotel booking platform claims it has 3.5 million opted-in and active consumers and had 93 million online visits in the financial year ended September 30. It recorded total transaction value of £300 million and net revenue of £50 million for the year, and derived 57 per cent of its traffic through mobile users. Cox & Kings said the acquisition fits its strategic intent to expand its global online and B2C leisure proposition. It will also benefit from LateRooms' association with the Cox & Kings subsidiary SuperBreak Mini-Holidays Ltd, a short-break packaged holiday specialist in the UK. 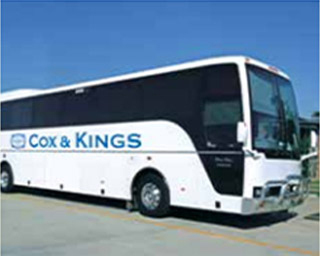 Cox & Kings has been actively expanding its business in Europe, especially in the UK. Four years ago, it had acquired UK-based Holidaybreak Plc for Rs 2,250 crore through its wholly owned subsidiary Prometheon Holdings in the UK. A year later it brought in Citigroup's private equity arm, Citigroup Venture Capital International (now part of The Rohatyn Group), to invest in Prometheon. The LateRooms deal would also put Cox & Kings in a position to offer a wider bouquet of options for its outbound customers from India, besides taking other established online travel agencies such as MakeMyTrip head-on. MakeMyTrip, the largest online travel agency in India, has also snapped a few hotel booking sites overseas. The NASDAQ-listed firm acquired EasyToBook last year to enhance the international hotel room offerings for customers traveling overseas, particularly to Europe. Three years ago, it had also acquired the Hotel Travel Group (HT Group) for $25 million. The HT Group, under the brand 'Hotel Travel', has been operating the website www.hoteltravel.com for more than a decade in Southeast Asia, although its booking platform offers hotel reservation across the world. Cox & Kings competes with Fairbridge Capital-controlled Thomas Cook among many other local and international travel services firms. In August, Thomas Cook signed an agreement to buy Kuoni Group's travel and tour business in India and Hong Kong for Rs 535 crore ($84 million).